Using contrasting colours can help people with dementia find and use the seat more easily - preventing falls and increasing independence. 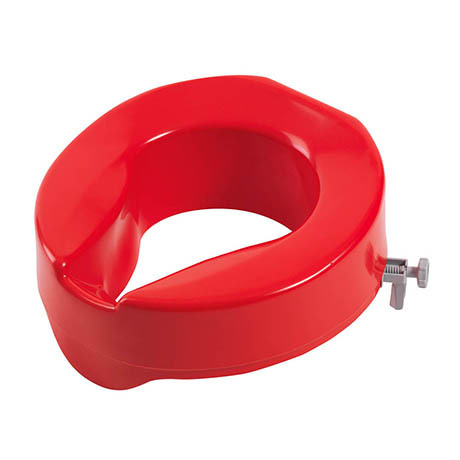 This red toilet seat provides a solution to the potential anxiety, challenging behaviour and loss of dignity this may cause. It's smooth, comfortable, plastic design with a front cutaway allows for easier personal cleaning while the two easy fit brackets are quickly secured onto the toilet bowl.